Davy on his 62cm frame, Tonto hoping to be 62cm tall someday soon! Great spin to the harbour this morning. 85km in warm sunshine at a good pace and still plenty of energy left for the final sprint with Mick Byrne leading out and Tonto and David Dempsey to the fore. 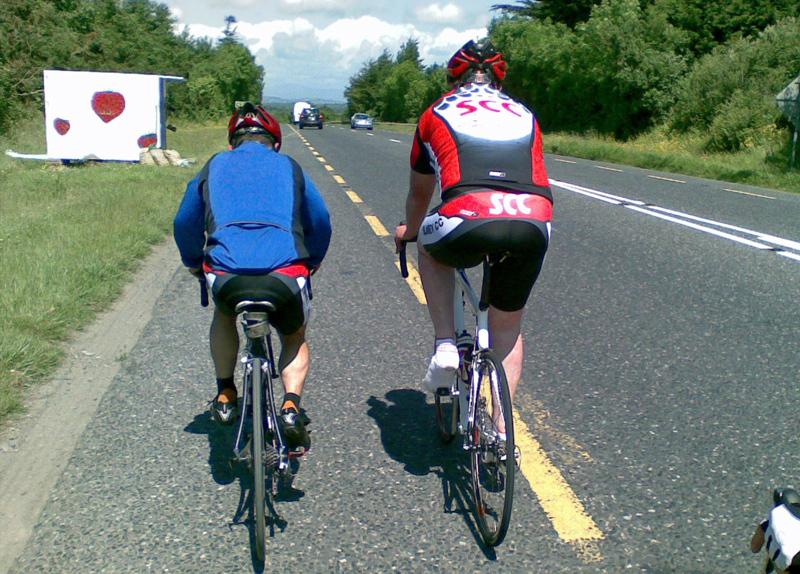 Mylie Kavanagh completed 125km this morning but was not impressed with his early morning ( and slightly damp) training partner turning back early on the tour – I’d be afraid to say it to a member of the defence forces myself but “big girls blouse” was the phrase Mylie used. 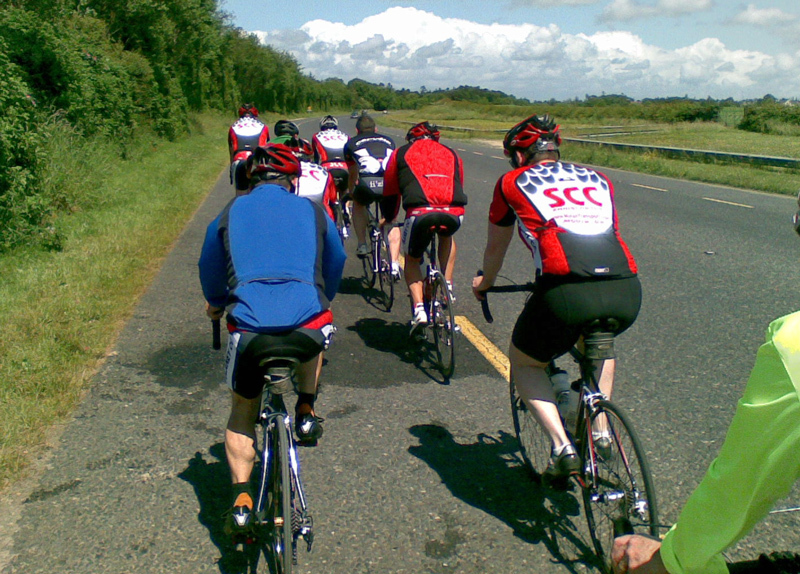 Well done to Willie, Stephen, Shane, John and Paul who took on the 160km Twin Peaks Challenge yesterday. On the racing front Alan Galavan took another great result today with 3rd place in Navan – subject to confirmation by Cycling Ireland that 4 points should see him upgraded to S2 in his first season racing! Alex Williams and Frank O’Leary took a great 6th and 7th place on stage 1 of Rás Connactha with Alex also taking 5th on the stage 2 TT. With Alex finishing safely in the bunch on stage 3 his final overall position on GC is 4th. By my calculation that should be an extra 10 points on his S1 licence – well done Alex. Martin Gill (WW) also finished 6th overall. Great results from a quality field. Next Post:10 things every cyclist should know!